Construction continues on the new football practice field. The estimated price for the project has now risen to $270 million. Cranes on top of bulldozers on North Campus signal the transformation of Northwestern athletics. 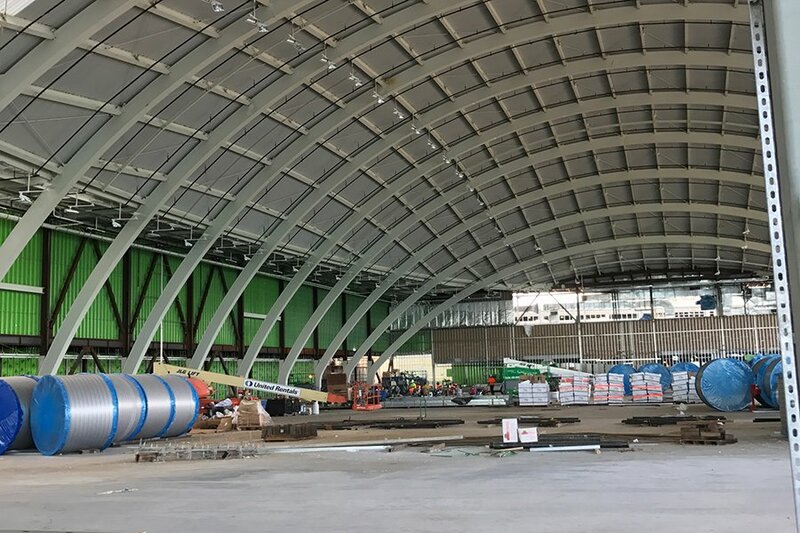 The buzz around NU sports has snowballed into a new $270 million athletic facility — the Ryan Fieldhouse and Walter Athletics Center — which will be the Cats’ lakeside epicenter by next summer. The ongoing project is located near Martin Stadium and the Kellogg School of Management. 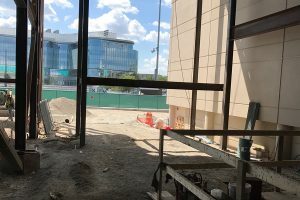 A tour of the facilities on Wednesday showed a barren interior of the athletic center, but Fitzgerald praised what it will eventually entail: the brand new locker room, the weight training facility, and the connectivity to an outdoor space. A portion of the under-construction facility, looking out onto the existing field hockey field. 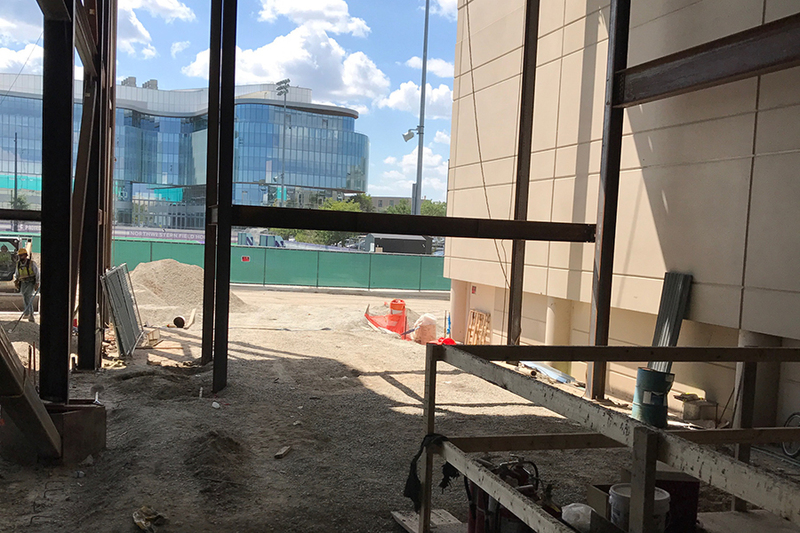 The construction comes alongside the renovation of Welsh-Ryan Arena, which is also set to be complete in 2018. In addition to the new meeting areas, offices, and locker rooms, the other keystone of the complex is Ryan Fieldhouse, which encompasses Wilson Field. The 136-by-80-yard field is long and wide enough for use by the football, soccer, lacrosse and field hockey teams. The only component regularly available for use by students are three new basketball courts at the complex. Otherwise, the facility is mostly reserved for student-athletes; however, the space has potential to be used by the entire campus. Athletic department spokesman Paul Kennedy highlighted the facility’s potential as the largest indoor meeting area on campus on Wednesday. 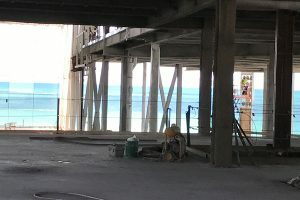 While there will be no permanent seating, NU can utilize the space for freshman convocation, President Morton Schapiro’s addresses to campus, and other larger speaking engagements. The venue could also host events such as Dance Marathon. The second floor of the facility will be mostly dedicated to the football team. The Cats’ new weight room is shock-proof, sound-proof, and state of the art. 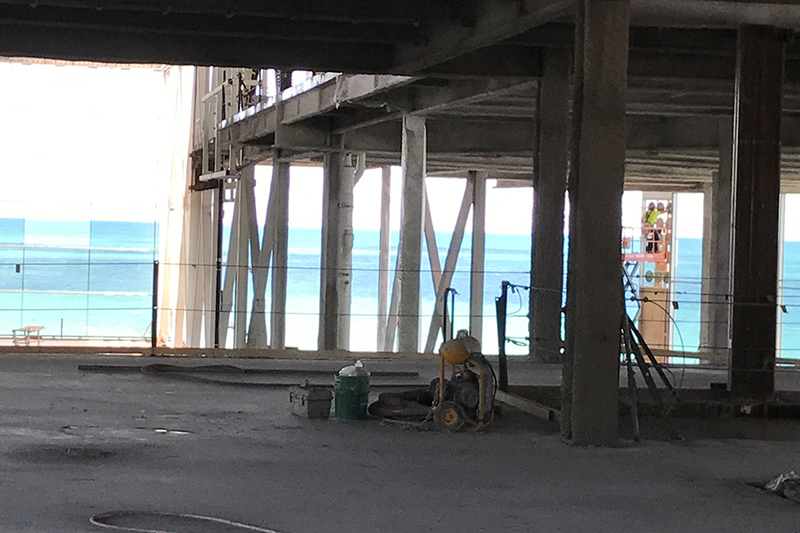 The walls are glass, and the weights, treadmills, and benches face Lake Michigan. The view to Lake Michigan from part of the facilities. Deputy athletic director Brian Baptiste noted that the training room will be a part of the increased dedication to “football sports performance.” NU will better incorporate diet and hydration into its preparation by making the corresponding facilities close in proximity, he said. A staircase separates the football team from other programs. Kennedy attributed the separation to a numbers game: The size of the football team requires them to have their own space. When the facilities open, Northwestern will also be honoring its past. The Cats are planning an interactive display on the first floor filled with big screens and exhibits showing the program highlights and history. The exhibit will showcase memorable plays and players from past and present Northwestern teams. While the current players have not yet toured the facilities, potential recruits have already been shown the developing space.